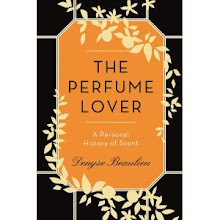 Many apologies for not posting reviews: I’ve been working 12-hour days to get as much work done as possible before I leave for New York, then Toronto and Montreal, to promote the North American editions of The Perfume Lover. 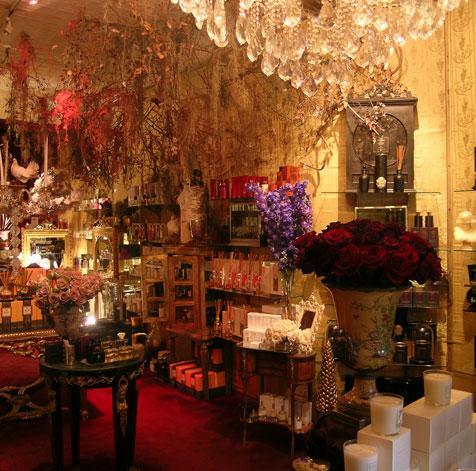 As you’ve seen from my latest post, Karl and Robert of the wonderful Aedes de Venustas (depicted above) in New York are hosting my book signing session on March 22nd from 4 to 8 P.M. With each book purchased, I’ll be giving out a 2ml spray sample of Séville à l’aube. I’ll also be packing a few mods and raw materials of the fragrance for a sniff-and-tell. I hope to see a few of you there! For those of you in Canada, I will be appearing on two morning television shows, CTV’s Canada A.M. on March 27th and The Global Morning Show on Global News on March 28th. If you are a member of Soho House in Toronto, a private club for media and entertainment industry professionals, please check their website, I will be doing a “show and smell” on the 27th. And if you’re anywhere around Montreal, I’ll be doing a public reading/book signing at the Westmount Public Library in partnership with Paragraphes, a leading independent bookstore. It was such a wonderful surprise to hear your excellent words in the interview this morning (it's still Wednesday here in BC) on CBC radio. I really appreciated that you were given a reasonable amount of time and it was delightful to hear Anna Maria Tremonti's pleasure at being able to perceive the story and notes of Seville a l'Aube that she had on her wrist as you described them. 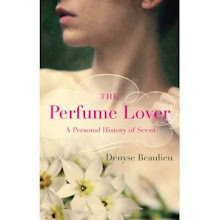 On a slightly different note, I am curious why the cover of the Canadian edition of The Perfume Lover is so different from the rather similar to each other UK & US editions. Are we Canadians so literal minded as to respond best to the perfume-ad style pretty girl and bountiful flowers? I still look forward to it arriving on our shelves. Yes, it was an interview I enjoyed doing, especially since apparently Ana Maria Tremonti doesn't necessarily cover that type of book as a rule. Glad she enjoyed the scent too! As for the cover, I have no idea why it's so different. Penguin Canada must know its market, and of course publishers all have specific visual styles for different types of publication. Authors, at least of the non-bestselling persuasion, don't have that much input. The country where I've had the most say is France: I picked the photo for the cover, which was the one I'd wanted from the start. Makes sense that living here, I would be more in tune French visual and editorial sensibilities. I'd love to see the cover of the French edition. Do you have a link or has the edition been released yet? Wonderful interview, Denyse! Thanks for bringing so much of the history and culture into the discussion. I thoroughly enjoyed the conversation. That was a great interview, Denyse! Where other authors would have plugged, plugged, plugged their book... you took the high-road. There was so much about perfume history, chemistry, current issues, personal stories and perfume culture... it was perfection!!! I'm hoping that people are interested enough to pick up your book... it's a great read! Lindaloo, the French edition is coming out on May 16th and the cover isn't finalized yet: I'm waiting for that before posting it here. Marla, it was great to speak with Ana Maria Tremonti because she really wanted to take the conversation into that territory. Normand, a plug is something that stops things from flowing, right? I'm happy you appreciated the interview, and yes, I do hope it makes people curious about the book!